The 1996 NBA season was truly one for the history books. The Chicago Bulls posted an amazing 72-10 regular season record and won their fourth NBA Championship—their first after Michael Jordan‘s brief retirement to focus on baseball. 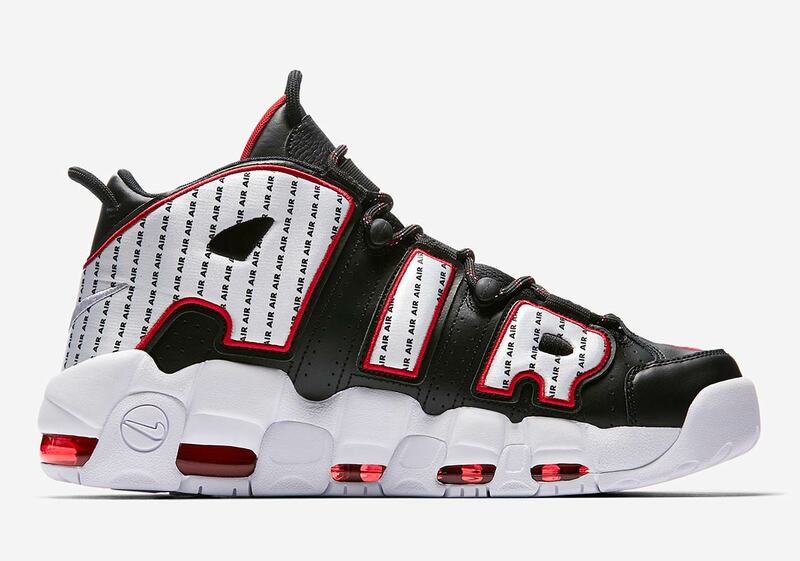 Now, in homage to that fabled season, Nike is releasing several classic basketball silhouettes as part of their commemorative “Pinstripe” pack—one of which is this Air More Uptempo. 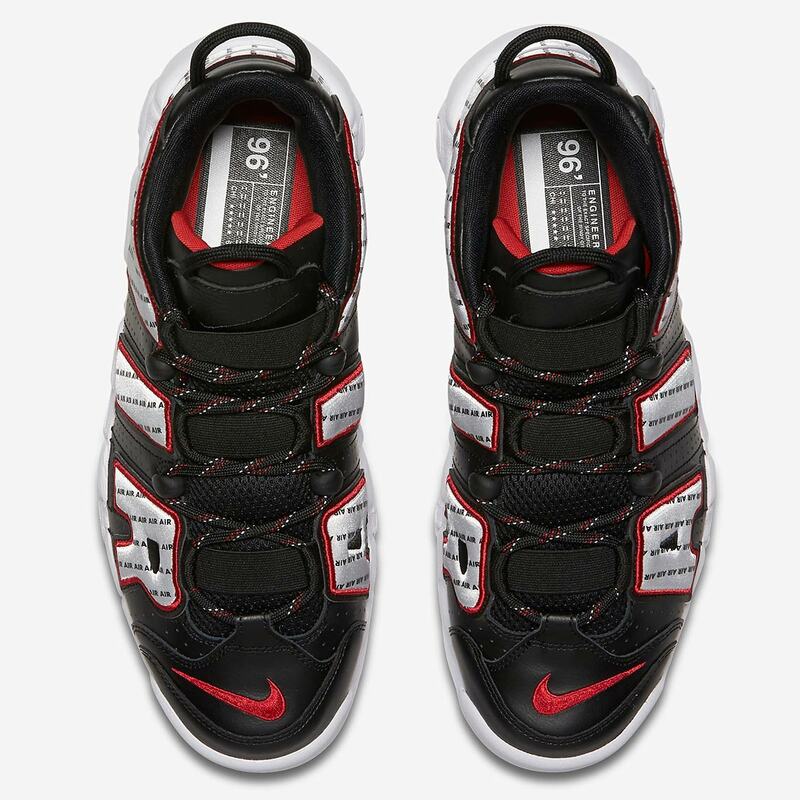 Worn by Scottie Pippen during the Bulls’ championship run that fabled season, the shoe features a black leather base, while the gigantic “Air” branding on both the lateral and medial sides arrives in white with red embroidered outlines. 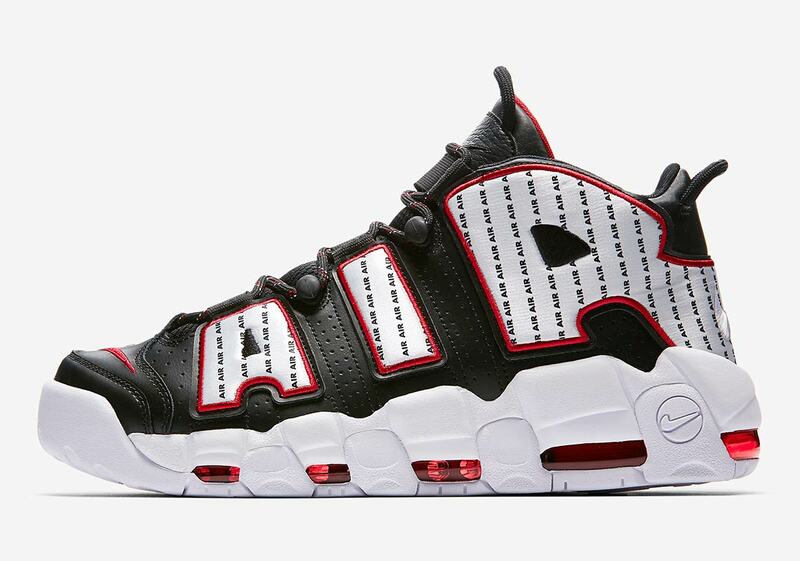 Pinstripe-style black “Air” branded hits appears on the letters, while black laces flecked with red and white hits add further contrast. 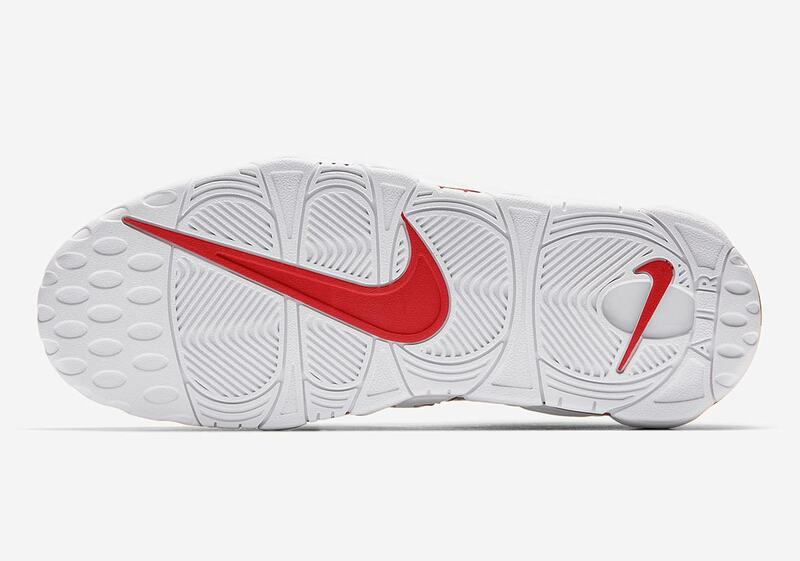 The chunky midsole arrives in a stark white, while the Air Max unit is swathed in a bold crimson. 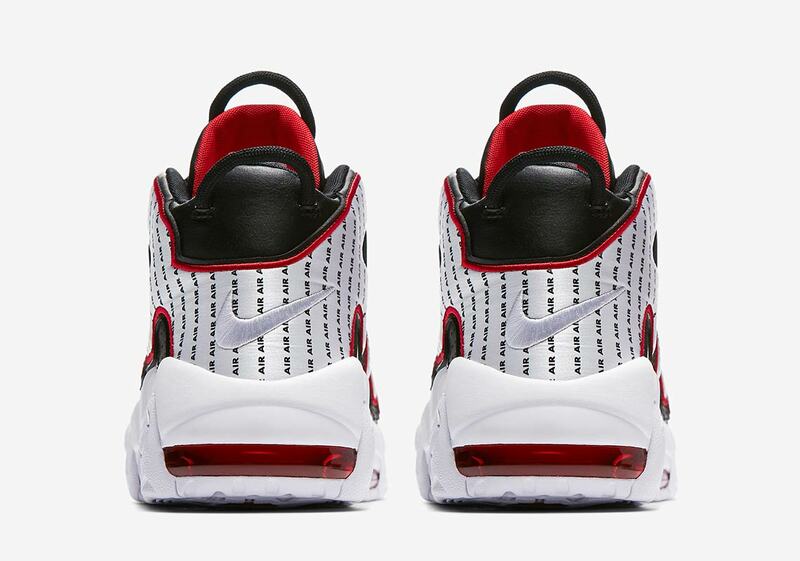 The throwback look is then completed with a special branded insole for a final commemorative touch. 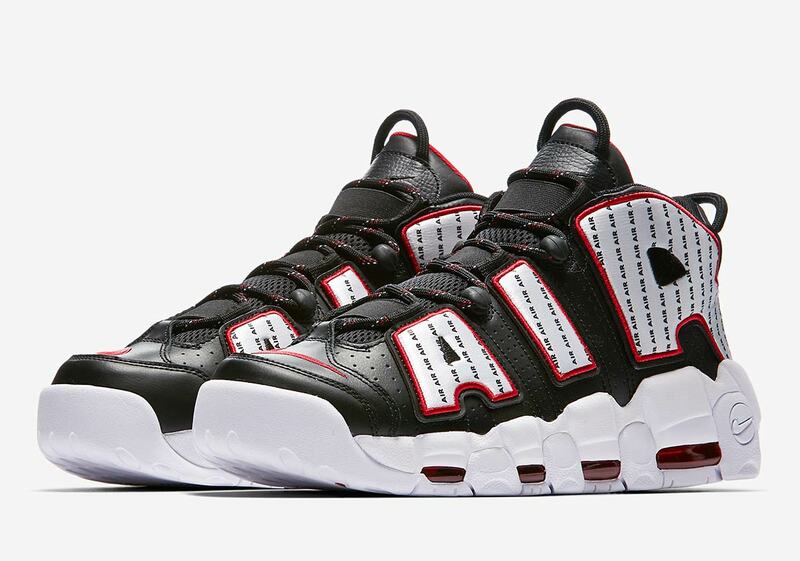 Bulls fans—and Uptempo lovers—can look for these special kicks to arrive on Nike.com August 11th, with a retail price of $160 USD.